The Mission Bay Aquatic Center is now hiring instructors and camp counselors in the areas of wakeboarding, sailing, surfing, windsurfing, kayaking, and stand up paddle boarding. Whether you are a seasoned water sports pro, or you just enjoy teaching and working with kids, apply today for a spot on the MBAC team this summer. While we need people of all levels of experience to fill all of our positions, it is often a challenge to find instructors who have a high level of skill in particular sports like wakeboarding or sailing. So if you have grown up driving your parent's wakeboard boat, or have spent your summers perfecting your sailing skills, you are especially encouraged to apply. Potential wakeboard instructors will need to be able to earn a US Coast Guard OUPV Certification (Operator of Uninspected Passenger Vessel) which requires having experience driving inboard boats. Sailing instructors will earn their US Sailing Small Boat Instructor Certification as part of training to become an instructor. 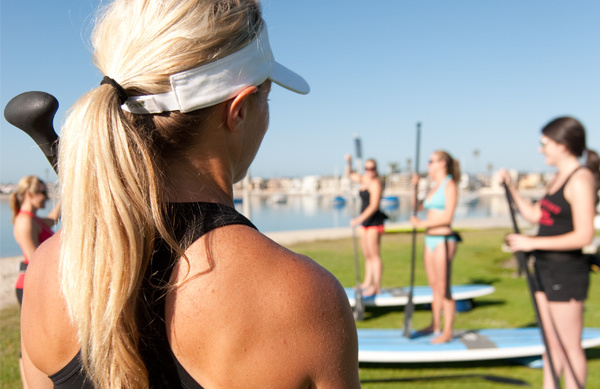 Experienced surf instructors and stand up paddling instructors are also needed for more skilled instructor positions. But overall the key to being a successful instructor at MBAC is a passion for watersports and a desire to share that passion with others. So for the candidate who doesn't have a huge amount of experience but still loves watersports, a job as a camp counselor might be a better fit. Check out the complete list of currentjob openings and their qualifications at mbaquaticcenter.com/jobs.